What goes on at an Idaho guest ranch in the spring? 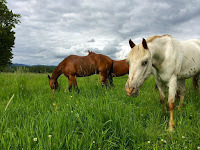 Western Pleasure Guest Ranch is open year round, with activities changing to reflect the seasons here in North Idaho. So what does happen around here in the spring? In the months of March and April, when the North Idaho landscape is waking up from from its winter rest, fewer travelers venture up, over, or down to the Panhandle of Idaho. 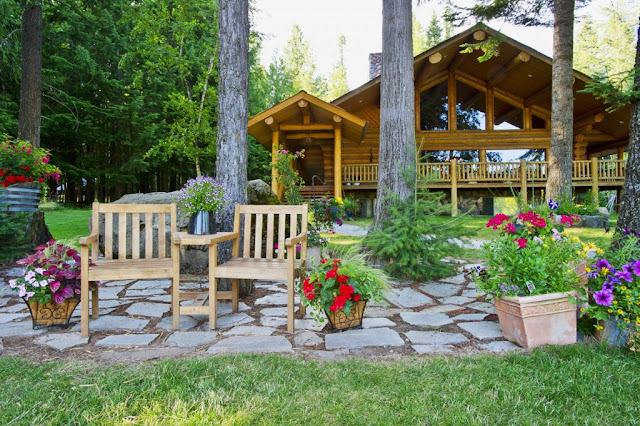 We do have weekend travelers who explore the foothills and valley’s, enjoy the spring skiing at Schweitzer Mountain Ski Resort, or just relax in a cozy cabin here on the ranch. Retreats are also a popular event here with quilters, basket weavers and personal growth gatherings. 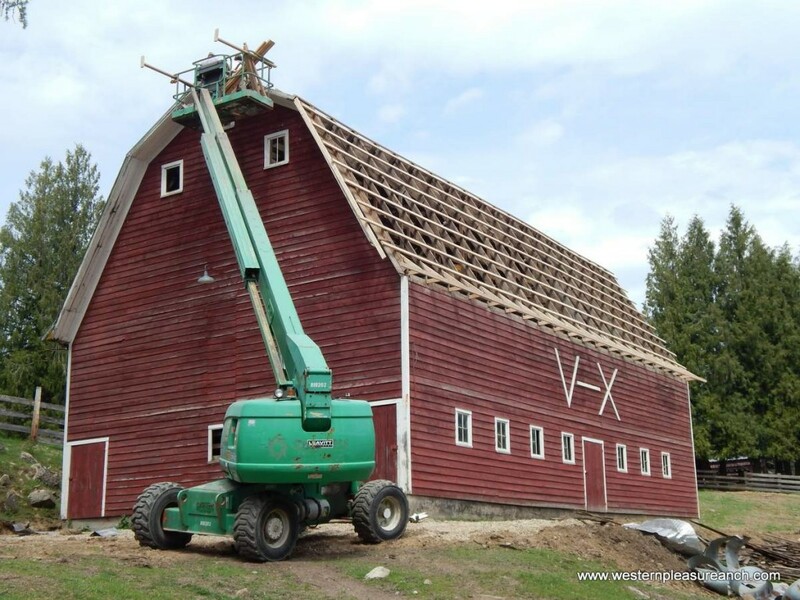 Although there may still be some snow (or mud) on the ground, the barn is busy with activity. 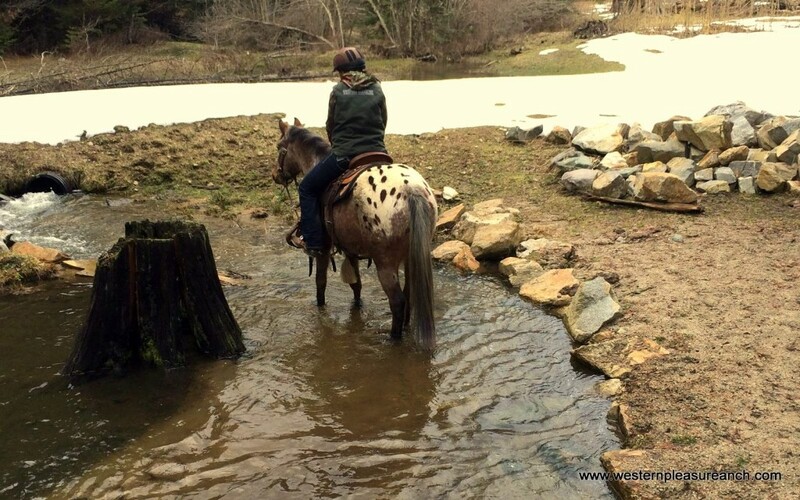 Our saddle horses get a little vacation during the winter months, so as spring riding approaches, we begin to prepare the horses for work again. Getting the horses ready for our guests to come enjoy scenic horseback rides means preparing the horses both physically and mentally for their job. They must be in excellent physical condition to carry our guests 10-14 miles per day throughout the horseback riding season. We prepare our herd mentally by reviewing their foundational training in the arena and on the trail. 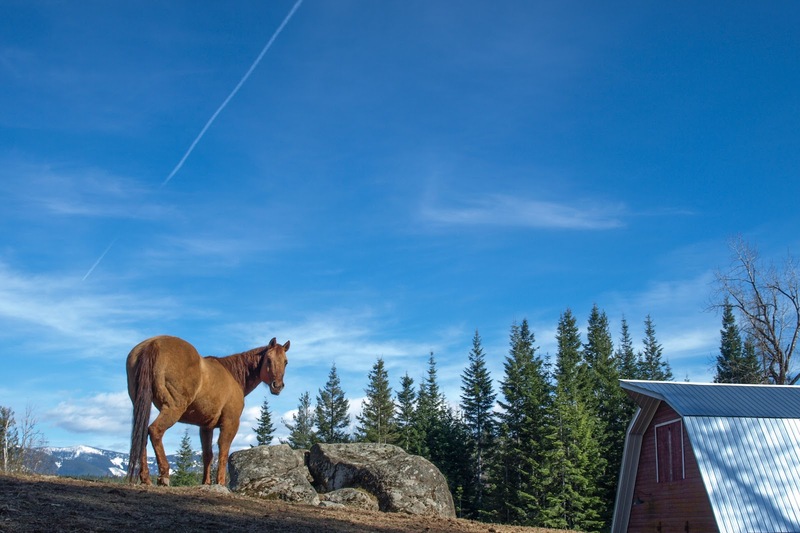 All of our horses begin their life at Western Pleasure Guest Ranch by going through our training program, where they learn how to be soft, responsive and quiet mounts. Taking the time and energy to work each horse through this program creates a horse that is safe and gentle enough for a beginner rider, and soft and athletic enough for an advanced rider to enjoy. It is in the spring months that we are able to put focused attention on these young trainees. Our two year olds are started under saddle and ridden for 30 days then put out to pasture to grow and mature. As 3 and 4 year olds, they are given focused foundational training in the spring months, then ridden by wranglers throughout the summer as they guide guests on horseback rides. As 5 years olds, they will again go through spring training and then begin their first year of being a mount for our guests to ride. Building projects that we have either been dreaming about or dreading are are worked on this time of the year. Spring in North Idaho also gives us a chance to do some spring cleaning around the ranch and prepare the grounds for the many events, activities and travelers that will be at Western Pleasure Guest Ranch throughout the year. Of course, when talking about spring maintenance on a ranch, you can’t forget about the many miles of fences that have to be checked and fixed before the horses and cattle can go out on pasture. Horseback riding trails have to be cleared of winter tree falls and new trails are cut in to expand trail options for horseback riding, mountain biking and hiking. This year we are also preparing for 5 of our mares to foal out. The expected due dates for theses 5 mares are spread out throughout the spring and summer but the first two are due in less than a month so preparations are being made for those joyful arrivals. 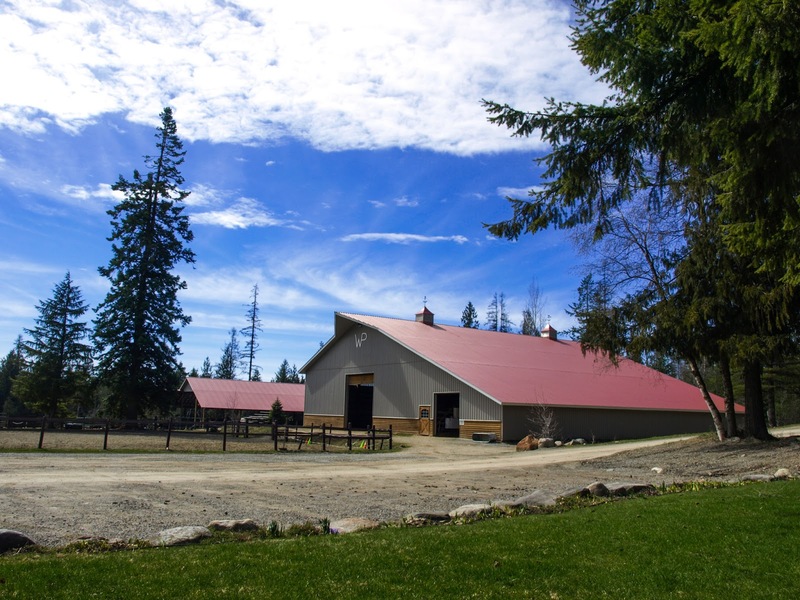 The early spring months could be considered our “down time” here at Western Pleasure Guest Ranch, but everyone is busy with activities to prepare our horses, our grounds, and our lodging facilities for the folks that will be visiting us in the coming months. For more information about Western Pleasure Guest Ranch visit www.westernpleasureranch.com. Spring is one of my most favorite times of the year in the panhandle of Idaho. Watching the land wake up from its winter rest, hearing the spring birds return to sing their songs of spring, and smelling that earthy springtime fragrance draws me out of my cozy fireside dwellings and into nature. As the grass grows greener, the sky bluer and the days longer, the drive to be outside in nature; to be a part of it awakens in me. 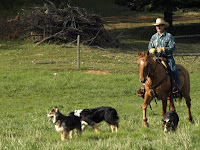 The spring months at Western Pleasure Guest Ranch truly are wonderful to behold. Part of the joy of living this western lifestyle is sharing it with the guests who vacation at the ranch. As a wrangler, I have the great pleasure of introducing our guests to the beauty of Idaho and the romance of the west by horseback. Growing up on this ranch, I explored every hill and valley by horseback. Now, I get to guide my guests through the same landscape that was a part of molding who I am. They get to experience and explore an Idaho dude ranch along with me. So come ride along with me through the valleys and over the hill tops, down the ridges and through the creeks of this 5th generation guest ranch. Experience spring in the foothills of the Rocky Mountains of Idaho from the back of a good horse alongside an Idaho native. A western vacation lets you experience nature, explore the land and be part of a grand adventure. For more information about Western Pleasure Guest Ranch, visit www.westernpleasureranch.com.